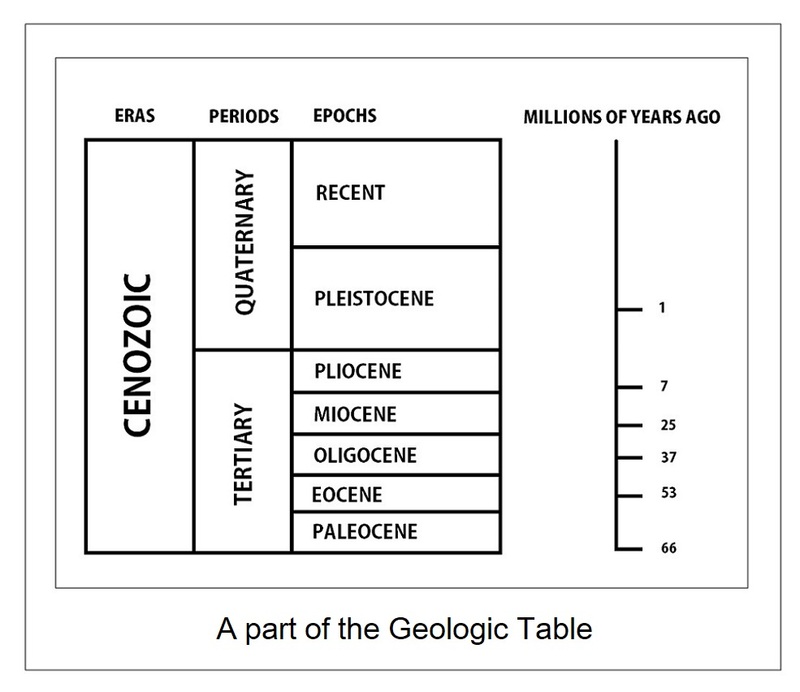 paleontological record is so discontinuous. The end of the Cretaceous Period, followed by the Tertiary Period, is best known for the extinction of the dinosaurs. The “K-T Boundary” uses the letter “K” for “Kreide”, which is German for Cretaceous since “C” had already been used for Cambrian. The relatively minor Chicxulub impact site on the Yucatán Peninsula of Mexico, often quoted as being the third largest on Earth, did not bring the Cretaceous Period to a close. Much effort, however, went into dating this site at 66 million years, which was the date the scientists required. The sedimentary record is a record of catastrophes. One oceanic flood after another has added to the record, sometimes removing a part, or all, of what was deposited before, so that nowhere is the record continuous and complete. Catastrophes brought geological periods, and also their divisions, and smaller divisions in turn, to a close, although there is no evident periodicity to them. Sediments are deposited on the continents by oceanic floods and contain fossils of life forms living at that time. New life forms then evolve and are included in sediments deposited by the next major flood. Very few fossils are made between major floods. This is why the paleontological record is so discontinuous, which has been used by Creationists to support claims about the absence of missing links between species. Some catastrophes are of a different order of magnitude than the rest, and what is possibly the fourth most destructive of life on Earth occurred at the K-T Boundary, which is thought to have made 80% of all species on the planet extinct. A major impact was responsible, and the Himalaya mountain range follows the arcuate limb of a major impact site that may be the one that brought the Cretaceous Period to a close. This major site probably generated a triple junction, as have other major impacts, with the Ninetyeast Ridge constituting one of the two major faults. The ridge lines up well with the center of the arc and extends south for about 5,000 miles (8,000 km). 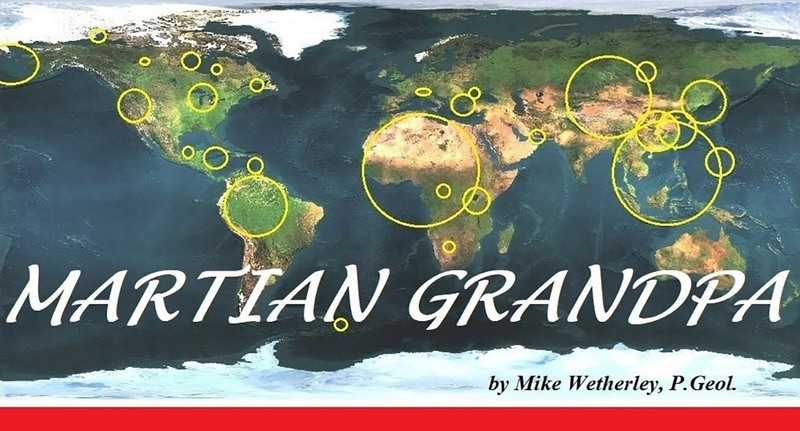 Its orientation along a meridian of longitude is a temporary coincidence. Australia and India are often represented as sharing the same tectonic plate, the Indo-Australian Plate, even though it is crossed by the Ninetyeast Ridge. Recent earthquake activity along this ridge, where it comes closest to Sumatra, suggests a pending breakup of the plate. Several published interpretations, based on geophysics, have a possible division occurring along an east-west trend rather than north-south. 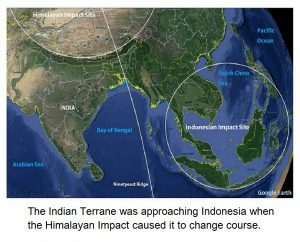 The Himalayan impact influenced the movement of India which, until then, had been moving toward the huge Indonesian impact site, which may have been the one responsible for terranes traveling across the entire Pacific Ocean to accrete onto the west coast of the Americas. The impact caused India’s path to rotate by more than 55o, as the sea floor west of Ninetyeast Ridge turned abruptly toward Asia. The ridge has been dated as 30 million years at the south end, and 80 million years at the north end, neither age corresponding with the expected age for an impact of 66 million years. Younger or older dates, however, can be due to any number of reasons, and incorrect dates have often persisted in the geological literature until a reason was recognized to investigate further. An assumed relationship between the Ridge and the Kerguelen hotspot, in the southern Indian Ocean, may have some bearing on the present acceptance of age dates. As India started on its course toward Asia another phenomenon commenced. A basalt flood, which has been estimated to exceed a volume of half a million cubic kilometers, occurred over western India. Uniformist scientists have claimed that these basalt flows took “hundreds of thousands of years” to accumulate, but I was unable to find evidence to support this claim. Fossil soil horizons, called paleosols, occurring within the sequence could constitute proof of long intervals of non-deposition, but flood deposits containing fossils do not. Layers of sediment between lava flows reflect flood deposition, but not necessarily long interruptions in volcanism. That such a layer may contain dinosaur remains does not prove dinosaurs of the types represented were alive at the time, or that they ever lived in the area. The basalt flows have been dated to around 66 million years. Magnetic reversals have also been offered as proof of extended periods of time, but all they reveal is that certain magnetic mineral crystals were orientated toward whichever magnetic pole happened to be closest to the volcanic eruption at the time. The best defined large impact sites on Earth are younger than Permian, so if a very large impact was responsible for the K-T Boundary event, some evidence of it must have been retained. 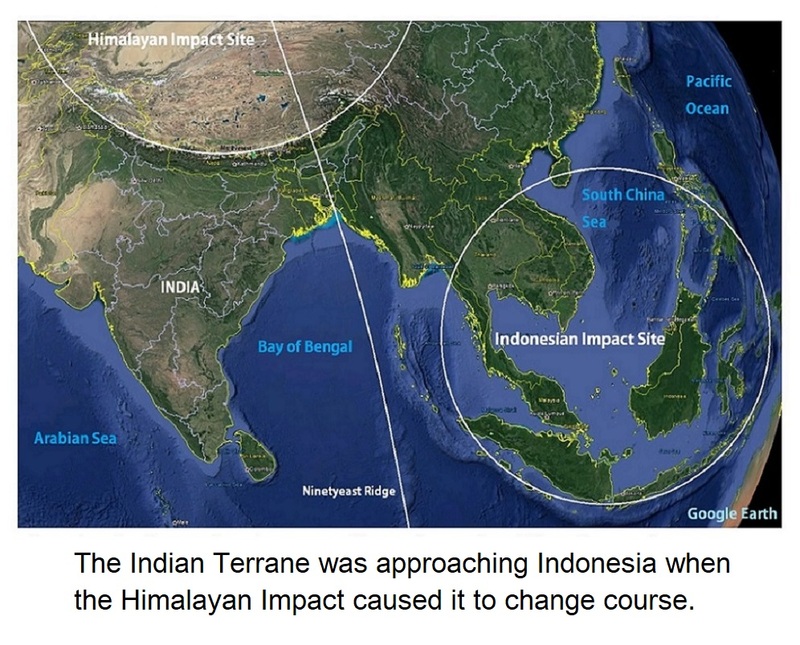 The Himalayan impact is posited as the one that brought the Cretaceous Period to a close (See: #4. Atlantis). 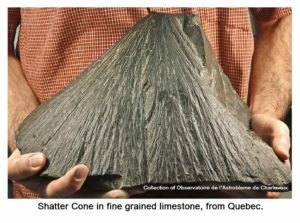 Probably every major impact site develops shatter cones, both small (down to hand-held) and large (up to entire mountains). Different rock types, however, vary in the degree to which these structures are developed. The Sierra Nevada, the Alps and the Carpathians all provide excellent examples, but what may be the most distinctive examples of large shatter cones on Earth occur on the Tibetan Plateau. 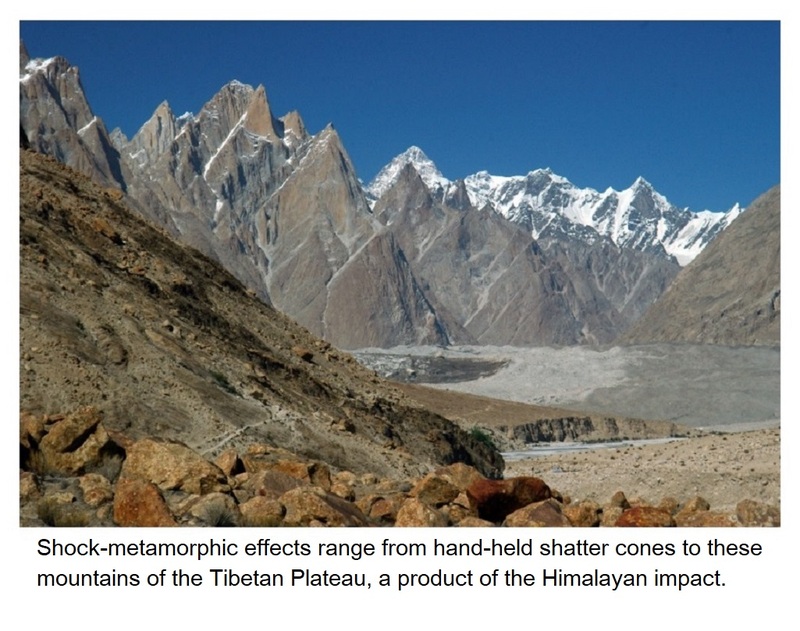 Mountains which were sculpted by the shock-metamorphic effects of the huge Himalayan impact have formed these almost perfect conical shapes along the course of the Baltoro Glacier. ‘The Iridium Conundrum’ could be the title for an episode of the popular American television comedy series ‘The Big Bang Theory’, but instead describes a debate among scientists about the origin of a layer of iridium-rich sediment occurring around the world at the Cretaceous-Tertiary (K-T) sedimentary contact. Geological hotspots are thought to be connected to the lower mantle, and elements that are rare in the crust are exuded from these hot spots. One such element is iridium, which is one of the least abundant stable elements in the Earth’s crust. Because iridium has an especially high affinity for iron, it is concluded that Earth’s core, which is accepted as being largely iron, must contain iridium as well. Deep-sourced (hot spot) volcanos are known to exude iridium. Iridium is also known to be present, at higher concentrations, in a class of meteorites called carbonaceous chondrites. Iridium is one of the platinum group metals, and it is commonly found alloyed with small amounts of platinum. In 1979 a team of scientists from the University of California at Berkeley, led by Louis and Walter Alvarez (father and son), announced the discovery of high concentrations of iridium within a narrow band of shale outcropping on an Italian mountainside. As shown by fossil evidence of rocks above and below the contact, the shale occurs at the K-T boundary. 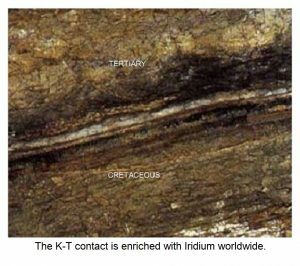 Soon after, it was discovered that K-T boundary shale is enriched in iridium around the world, sometimes by more than a hundred times the normal amount. Allan O. Kelly had sent a copy of his book ‘Impact Geology’ to Louis Alvarez at Berkeley and this may have contributed to Alvarez’s viewpoint when he attributed the extinction of the dinosaurs to the impact of an asteroid. The high iridium values touched off a debate between scientists favoring a terrestrial origin for the iridium, and those supporting a cosmic one. Meteorites known as chondrites are rich in iridium, but most asteroids of this type orbit further from Mars, and closer to Jupiter. Most stony and metallic asteroids are found toward the inner edge of the main asteroid belt, which is closer to the orbit of Mars. The suggestion that moons of Mars have impacted Earth is explored later. (See: #10. Venus, & #12. Mars). Both present moons of Mars are of the stony type and follow orbits that are almost perfectly circular. (Such orbits could not result from the effects of gravity alone so that electromagnetism must have influenced their capture.) Iridium is rare in Earth’s crust, implying that Mars tends not to bring carbonaceous chondrite asteroids to Earth. Rich nickel deposits associated with impact sites such as the Sudbury basin, are also uncommon, suggesting that most moons of Mars are of the stony type, as are its present moons, Deimos and Phobos. 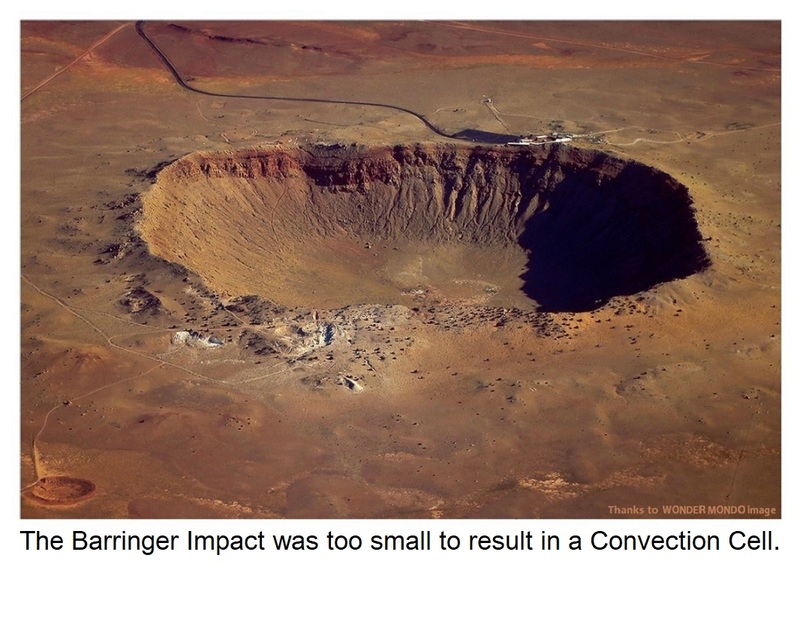 Meteor Crater in Arizona was caused by a meteorite composed largely of iron and nickel, and which did not provide enough energy to form a convection cell. Not every asteroid is brought here by Mars, for Apollo asteroids occasionally impact Earth randomly. It is plausible, however, that most of the largest ones were brought to Earth as moons of Mars. Concentrations of iridium that can be ascribed to hotspot volcanism are probably adequate to account for anomalous amounts of iridium occurring at the K-T boundary. If this is so, iridium anomalies should occur at other contacts at the end of geological periods. 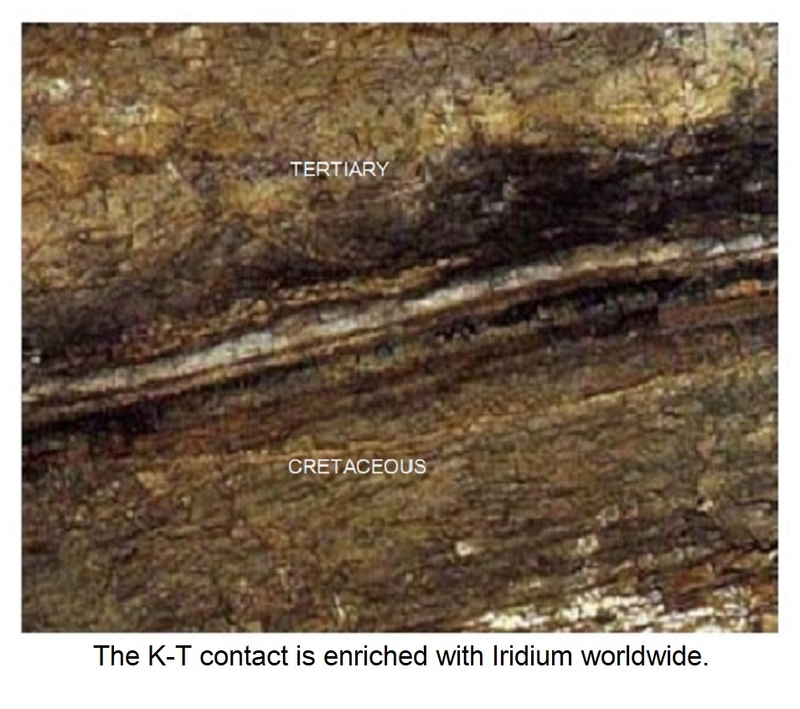 Other elements associated with iridium at the K-T contact tend to support a terrestrial origin for it. Researchers from Dartmouth College reported in ‘Science’ finding significant amounts of arsenic and antimony at the contact. A cosmic origin for the iridium may have been promoted, in part, to support the claim that the catastrophe at the K-T contact resulted from a large asteroid impact. That concept was less acceptable to scientists in 1979. Anomalous iridium at the K-T boundary would have been due to volcanism, especially from hot spots, following the impact of a large, stony asteroid. At that time, many volcanos were erupting all over Earth. Evidence for the impact, consisting of shocked quartz grains, as well as basaltic spherules, has been found worldwide. The spherules have been termed ‘microtektites’, although they have a totally different origin from ‘tektites’. Their close association with the impact of a large asteroid in no way requires the iridium to have a cosmic origin as well. The iridium content of carbonaceous chondrites may be a thousand times the average content of Earth’s crust. This composition has been claimed by some as “…indicative of the average concentration of iridium in the solar system.” (Scientific American, August 1980, p.86B). What it really tells us is something quite different, which is explained in #15: Cosmic Rays. It is interesting to see how the Himalayan impact site compares in diameter with some other sites that can be interpreted on Earth’s surface. In order to make these comparisons, it is necessary to employ a physical globe to avoid distortion away from the equator. An almost indispensable aid is a piece of transparent photo-overlay material. One side of this material can be drawn on in pencil, and if a number of concentric circles at even spacing are established with a compass, an arc on the globe can be fitted along one of the inscribed circles, or else between adjacent circles. The distance from the center can then be determined by the scale on the globe. The measurements presented above are approximate, but provide a good idea of the scale of some larger impact sites compared to the Venezuelan Basin site. (See: #3: Impact Geology). Considering the effects of the impact that occurred about 10,500 years ago, one might ponder the effects of even the next largest in the list above, which has an area 16 times as great, a convection cell volume many times as great, and an energy level comparison at least in the hundreds. Our ancestors, human and pre-human, must have come close to being wiped out time after time as they experienced repeated bottlenecks. Far from following a straightforward evolutionary path, let alone a predetermined one, fate played its part at every turn. It is fascinating to consider if things had followed a slightly different course, how differently the world might have ended up. The asteroid that crashed in the Venezuelan Basin (in fact, formed the basin) totally changed the local physical geography of the Caribbean region. 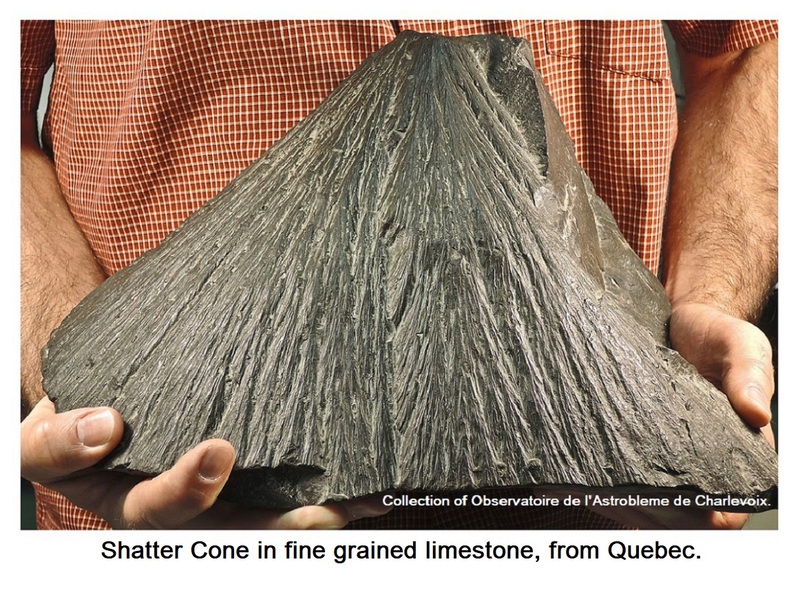 It ripped terranes out of Central America and moved them as much as 1,500 km (more than 900 mi.) to the east. The catastrophe also moved mantle currents to the mid-Atlantic Ridge, as well as along it, for I believe the ‘legendary’ country of Atlantis was much more than that. It was real, and its people with their sophisticated culture experienced their own bottleneck, but enough survivors may have continued on as the Pharos’ people in Egypt. If the most recent major impact could result in geographical changes on such a scale and result in the annihilation of species from North America to Australia, consider what the effect was from even the next larger impact down the presented list. Furthermore, Earth had been impacted by another only 63,000 years earlier, and, I suspect, a larger one roughly 66,000 years before that. While our busy scientists go about their task of learning all about the Universe and cultivating their ‘Theory of Everything’ perhaps they could spare some time to look into this. 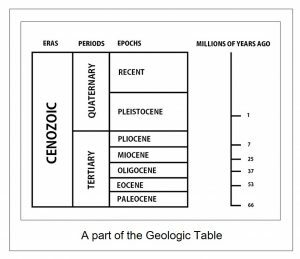 Uniformitarianism, to give it its full, disheartening name, constitutes one of the greatest debacles in all of science. While we might be willing to trade catastrophism for it in a heartbeat, now that we have benefited from it, the fact remains that we are not in control of our destiny. In all probability, Mars will continue in the role it has occupied since at least the end of Precambrian time, and if Mars should take an asteroid as large as Vesta for a moon, life on Earth could eventually receive a major reset almost as it did at the end of the Permian Period. Ceres, which is another world, is several times more massive than the asteroid Vesta, but may not present a similar threat to Earth. Venus didn’t physically crash into Earth, and neither would Ceres, even if it should be brought here by Mars. As for Vesta, I couldn’t begin to compare the effects of an impact by it with what ended the Permian Period on Earth. It is categorically surreal to ponder the ultimate demise of one’s own kind and to muse upon whether the next dominant species, during its time of authority, might be less destructive of the biosphere than we have been.